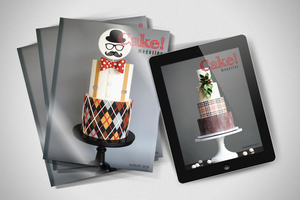 Louise Vansleve will be joining us to discuss how to use Facebook to market your cake decorating business. Karen Stack from Lick The Bowl showed us how to use Tappits quickly and easily. Sharon Wee from Sharon Wee Creations joined us on Cake! TV with a tutorial from her brand new book, Adorable Cakes For All Occasions! Michelle Green from The Business of Baking joined us for a live video chat with the topic: How to run a business and a family without losing your mind! MISSED THE PREVIOUS EPISODES OF CAKE! TV?